This classic Glenmoor home meticulously cared for over the years is just what you were looking for! With 4 bedrooms, 2 full bathrooms and approx. 2,053 sq ft, the open floorplan includes a formal living room and a spacious family room w/ fireplace and coffered ceilings open to the kitchen and dining area. You will love the elegantly updated kitchen featuring Silestone countertops and breakfast bar, upgraded cabinets and pantry, recessed lighting and top of the line appliances. Other fine features: upgraded baseboards, dual pane windows, upgraded furnace and air conditioning, beautiful laminate flooring. Both baths highly upgraded. Generous lot of approx. 7,966 sq ft w/ professionally landscaped front and back yards, automatic sprinklers and plenty of space to entertain. Close to community swimming pool and tennis court (included in the HOA). 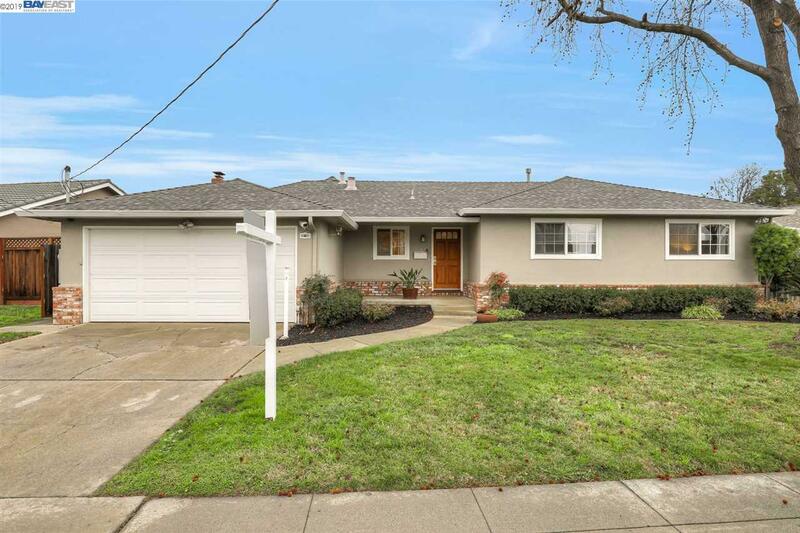 Great family neighborhood w/ quality public schools and close to shops and eateries. Close to 880, 680, 84/Dumbarton Bridge, ACE & Bart.